The Castelgarden XC53BSW4 lawnmower is designed for medium sized gardens. 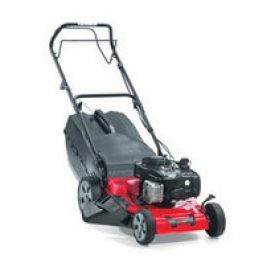 Powered by a Briggs & Stratton 650 Series engine, its self-propelled transmission allows for maximum control with minimum effort. Its large rear wheels give perfect results even in the most demanding of garden conditions. The Castelgarden XC53BSW4 lawnmower comes equipped with a 53cm steel deck featuring a single lever centralised height adjustment which boasts a cutting height range from 27mm to 90mm.